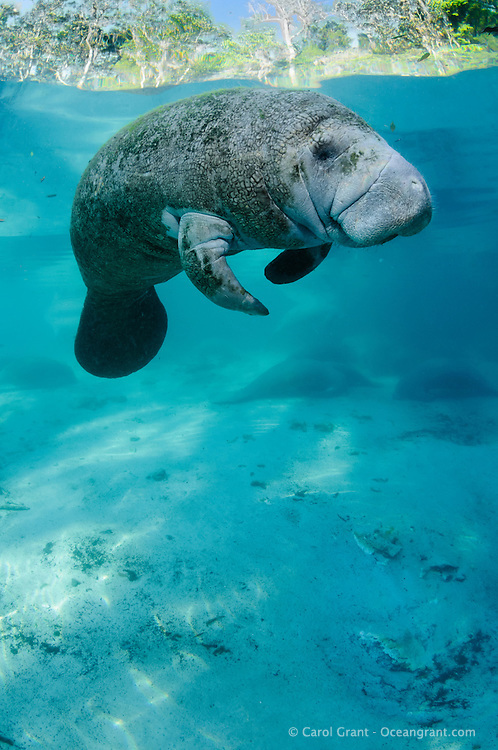 Florida manatee, Trichechus manatus latirostris, a subspecies of the West Indian manatee, endangered. A young manatee floating at the surface in the clear blue freshwater springs with resting manatee below. It is early Spring. Vertical orientation. Three Sisters Springs, Crystal River National Wildlife Refuge, Kings Bay, Crystal River, Citrus County, Florida USA.